What’s Going On With MoviePass? 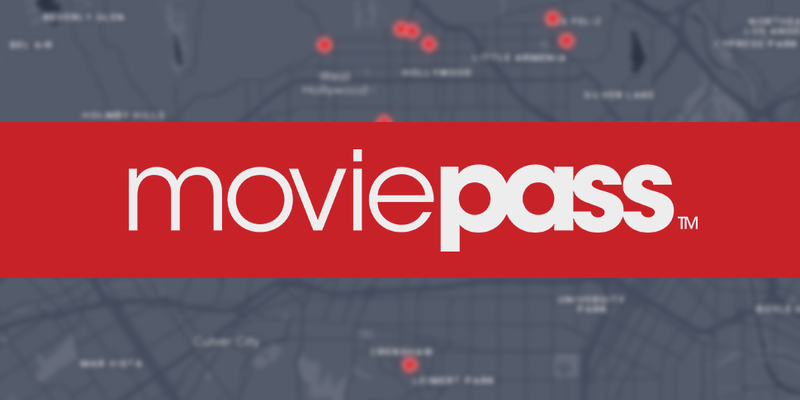 Since MoviePass first launched its $9.95/mo unlimited movies service back in August 2017, it has become one of the most discussed topics surrounding the film industry. This service basically allows you to see as many movies as you want (limited to one a day) for practically nothing. For movie buffs out there, this was nothing short of a dream come true. I mean just think about it – in highly populated areas around the country, a movie ticket actually costs more than $10. At my local theater, a non-matinee ticket is $13.45. So after seeing only one movie, I have already saved myself $3.50. And believe me, I see more than one movie a month, as I’m sure many others do. And along with the essentially free MoviePass ticket, I am now easily able to rack up points on my theater membership card, getting me free popcorn, drinks and even free tickets for friends or when I want to see two movies a day. From the beginning, there has been a huge debate about whether MoviePass is actually sustainable. Some people, myself among them, believed that it wouldn’t survive a year (though I planned to get everything I could out of MoviePass before it went under). But as we are approaching the year mark for MoviePass, the movie service is still around, but it is not without a few bumps along the way. First of all, MoviePass has become quite infamous for its complete lack of customer service. When the new service launched last year, many users tried reaching out to MoviePass to ask questions regarding their account information or the timeline to receive their MoviePass card. With the high influx of users, MoviePass was not able to match demand, and thus had to delay user cards so that they could catch up. And with so many people asking questions, the customer service was just not able to keep up. Almost a year later, the problem with customer service still haunts the company. Many users, when they have a problem, are not responded to in a timely fashion, leaving them stranded at the box office and unable to use their MoviePass. Then, if someone does eventually respond, the company will often not refund the customer’s purchased ticket. Even after a year of this, the company hasn’t made significant efforts to fix its customer service issues…and the customers are starting to take notice. But the biggest customer service oversight is perhaps the company’s failure to alert users to changes in the terms and services. One major example occurred in back in March with the release of Red Sparrow. Upon the release of the film, some people found that, on the MoviePass app, that they were unable to select Red Sparrow as a choice. When those users complained, MoviePass responded saying, “We are constantly testing all aspects of our service to optimize the model for theaters, distributors and members. We occasionally remove some films from our ticketing inventory in some markets for a limited time, similar to how we organically promote films in certain markets to better understand member behavior.” They said that this was remind users to double check the app to make sure their movie and time is available…because that makes sense? Then, back in April, MoviePass went through a two-week period where it only offered new subscribers the ability to see one movie per week. And, in addition to this change of policy, they were offering new subscribers a 3-month free membership with iHeartRadio… because apparently a 3-month radio membership makes up for not being able to see a movie a day. While this new policy did not affect the current subscribers, it was still an odd move by MoviePass. Like I said, it was only two weeks until MoviePass started offering its regular movie-a-day subscription. But during that two-week period, the company stated that it wasn’t sure if the movie-a-day plan would return as they wanted to explore potential partnerships (i.e. iHeartRadio). But I still don’t understand how this is a good trade off? Of course, paying roughly $2.50 per movie to see 4 movies a month is still a good deal – but that’s not what MoviePass was known for. To top it off, MoviePass delivered another big blow to its subscribers on April 27 – it would no longer allow users to see a movie more than once. And take note, April 27 was the day that Avengers: Infinity War hit theaters and became the most successful superhero film of all time. Quite a day to drop this bombshell. Now, to be fair, this probably should have been in the policy from the get-go. MoviePass’s explanation for this update was that the company wanted users to go out to see different movies. But I don’t believe it. Back in January, I personally met a couple at the theater that were using their MoviePasses to see The Greatest Showman for the 11th time. And with the release of Avengers, there was no doubt that some people were going to see the movie more than once. However, this still shows a lack of customer service on the part of MoviePass. They did not forewarn users to this change in policy…it just happened. Ever since MoviePass launched, there has been the constant question about whether MoviePass can last. Its business model seems completely unsustainable without serious outside endorsements and partnerships. For each ticket bought with MoviePass, the company has to pay the theater the full price of the ticket. As mentioned above, after buying one ticket, MoviePass has already lost $3.50, and that’s if I go to the cheaper theater in town. And there are times when I go see two movies a week for multiple weeks. I alone can cost MoviePass $100/month if I see enough movies while still maintaining some sense of normalcy. To this day, MoviePass has upwards of 3 million subscribers. Now, 3 million subscribers with the $9.95/month plan may make MoviePass $30 million a month (before deductions), but they have to pay way more than that if every person sees even one movie a month. So, again I ask, how is this business model possibly sustainable? And it seems like shareholders are asking the same questions. Back in October 2017, stock prices topped off at $38.86 a share. On May 22, the market closed at an all-time low of $0.54 a share. Those on Wall Street can see what most other people see- that this business model is not sustainable the way it is. Revenue has to come from somewhere, but the company’s monthly payout is just too high. However, the CEO of the parent company Helios & Matheson Analytics remains optimistic as the company moves forward. According to an article with Business Insider, CEO Ted Farnsworth said on May 14 that the company has enough cash to keep the company afloat for 17 months without raising anymore capital. And looking to the future, MoviePass is starting to move into the business of film distribution. In January 2018, they partnered with The Orchard to purchase the North American distribution rights for American Animals, which premiered at Sundance. This new venture, should it prove successful, could be the saving grace MoviePass needs. No matter how you look at it, MoviePass is great for users. The ability to see as many movies as possible for a monthly rate is just too good of a deal to pass up. Even if MoviePass cannot last forever, it’s still well worth it for movie buffs. The company has many kinks to work out, and I hope that they find a way to go the distance. While I’m still not sure if the company is sustainable, I think it’s safe to say that we, as MoviePass subscribers, are rooting for them until the end.